My Cooking Party's Corporate Outings are a super fun and the best departure from the same old Corporate Dining Boredom & Awkward Company Event. Our interactive cooking classes, parties & competitions give your guests the opportunity to connect in a more meaningful way; engaging all participants in a common experience. Seriously, it's a Blast! Whether your goal is to mingle with clients, cook with co-workers, or battle it out with the boss in an Iron Chef-Style Cooking Competition...One of the Three Hands-On Culinary Events at the MCP Cooking School is made to match your needs. My Cooking Party's NYC Kitchen and Event Space is the best environment to groove to the music while you cook, drink, eat & compete! 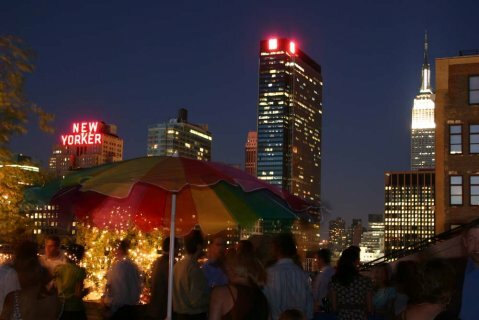 - Danielle Mannino, Nickelodeon - NYC If you wish to host a fun company outing or corporate event in Manhattan, Long Island, New Jersey (NJ), Brooklyn, Queens, or other NYC areas, contact MCP today at 212.686.2433 or click here to contact us for more information.